A nice and easy two-pack/three-pack using existing parts. 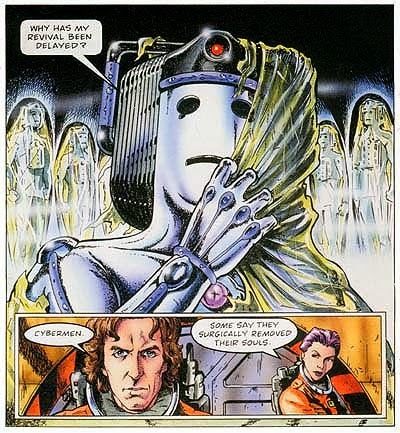 If we refer to the comic panels featured in Doctor Who Magazine, the 8th Doctor is depicted in an orange spacesuit. Why not release the 8th Doctor in the orange spacesuit worn by the 10th Doctor from The Impossible Planet/Satan Pit? Remove some of the decals, or change them for something else, and we have a new and interesting 8th Doctor variant. Next we have the Cybermen, depicted on the cover and in DWM as being The Invasion models. Re-releasing this particular Cyber-variant would certainly please army builders, but again looking to DWM we have a Cyber Leader, something not featured in The Invasion. A quick repaint of black and blue, and we have a new variant for our Cyber armies. Another easy one. Re-release the TVM 8th Doctor with a 60s Dalek (which I'd be happy to have some more of) and then package it with the Emperor Davros from Remembrance of the Daleks, repainted in a silver and blue livery. 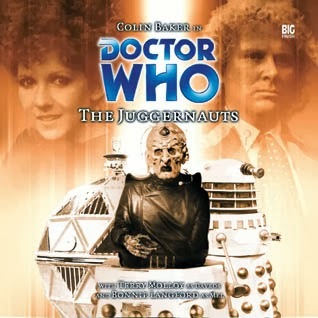 Now according to the cover art this version of Davros has a few extra bits, alluding to the Emperor Dalek seen in Evil of the Daleks. I doubt a couple of strips of plastic glued to an existing mould would break the bank, and if not, well the repaint would be fun. I'm sure a re-imagined version of this Davros would be appreciated by all those collectors who missed out on the original release. More Daleks! This would make for a fun set, a re-release Mechanoid (yes, please! ), an Imperial Dalek re-release (yes, please!) and a tweaked Revelation of the Daleks Davros. Simply repaint the chair in white and gold and give him a robotic hand. If they wanted to be really cheap about it, remove the robot hand off the New Series Davros, paint it gold and stick it on the classic Davros. Not exactly to the cover, but it would work. No pictures for this one, but apparently the Supreme Dalek is described as being crimson and gold, and that sounds like a very nice colour scheme for a figure. 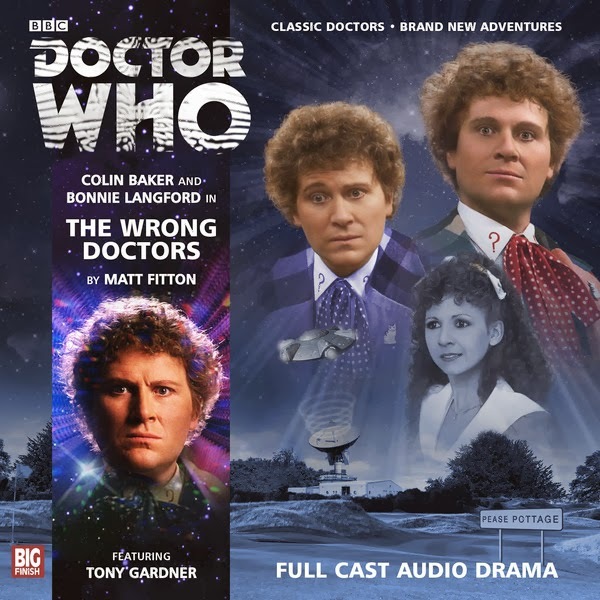 Re-released with the TVM 8th Doctor, or better still, give us Lucie! Yeah, I know I said there'd be no 100% new tools, but come on, how cool is this guy? Definitely needs an action figure. 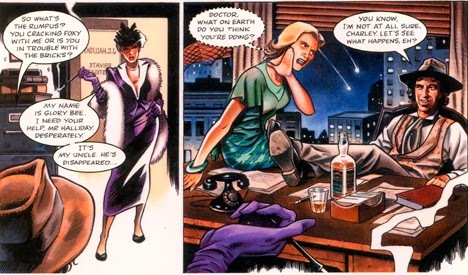 Now I believe this version reappeared in later McCoy strips alongside a purple and gold Supreme Dalek. I cannot find any pictures of the damned thing, but people have done customs. Metallic purple with gold hemispheres, and he looks great! Alongside that is the renegade Dalek equivalent of Special Weapons Dalek (sorry, can't find a colour reference), so we can assume its a grungy SW Dalek in a renegade grey and black livery. Oh alright, another Dalek that would need some tooling. A new neck bin/shoulder section, but otherwise not too different. Having become such a prominent figure in the 8th Doctor audio adventures, this fascinating Dalek is a must. Well a Big Finish 6th Doctor is a must, and no I do not mean Real Time, I mean dark blue, with all the patterns still on the coat. Why this version? Well the bloody thing was planned for release in the 2nd Eleven Doctors set that never materialised. Such a pity. 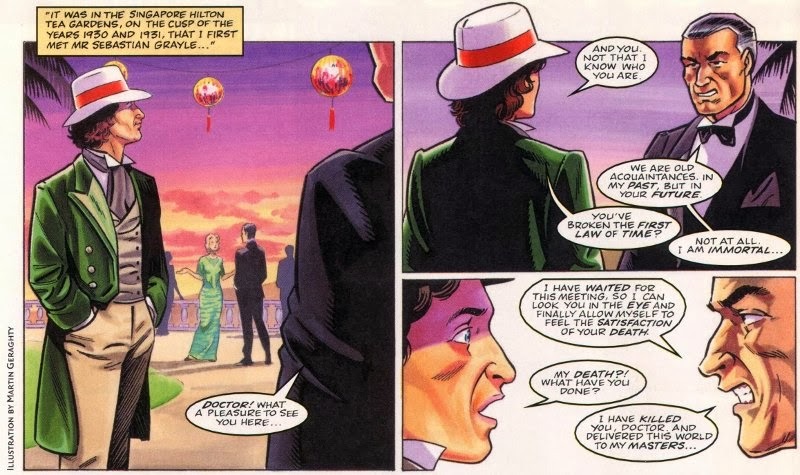 With this it's worth noting the 8th Doctor as depicted in the pages of DWM, representing the Doctor's appearance in Invaders of Mars and Seasons of Fear. 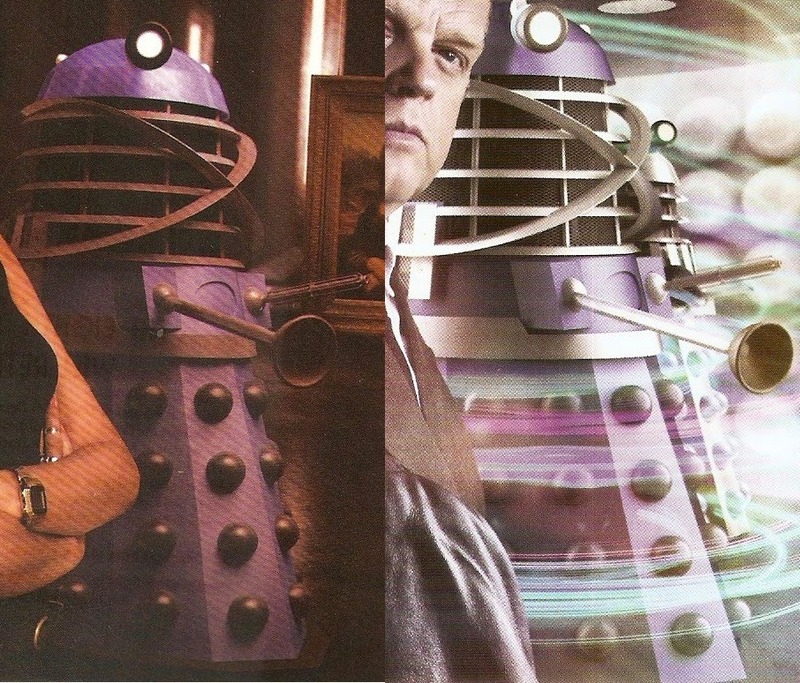 In the former, 8 is depicted wearing a feodra, and in the latter, he's shown to be waering the 5th Doctor's panama hat. Surely these tweaks would be possible? After all, it's just altering the head. A nice way to get those older figures out there in new ways. Should we ever see the release of a 70s Silurian, packaged with the 6th Doctor would make an easy Bloodtide pack. Repaint the Silurian in a different deco would make for even greater value. That, or give us a Two Doctors 6th Doctor! Other candidates come in the form of Ice Warriors, who could be packaged in a range of shades of green and with a variety of Doctors from Red Dawn to Deimos. Stick a repainted Krynoid with an 8th Doctor and we have a Hothouse set. The same can be said for Sontarans, Cybermen, and any other classic monster that has made an appearance in Big Finish. A slight tweak, a new shade of paint, and a new set awaits the toy shelves! Any ideas for other possible repaints? Let me know in the comments! Hey Matt, love your blog. I do have a question for you. Where can I find a list of the unreleased variants that were planned for the rumored second 11 Doctor's set? Thanks. Dark Eyes 2 - Out Now!